Hoàng Ngọc Huấn, chairman of the Vietnam Cable Television Corp said his enterprise was preparing for an online/offline product distribution project, backed by a strong marketing network. 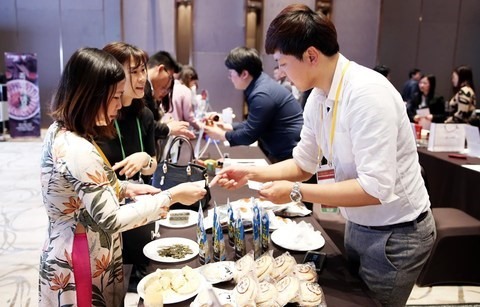 During the event, VTVcab, the Korea SMEs and Start-up Agency (KOSME) and Phú Thái Group signed an agreement aiming to support South Korean enterprises in advertising and distributing their products in Việt Nam. Phạm Đình Đoàn, president of Phú Thái Group said the agreement would help Korea small and medium-sized businesses to effectively launch their distribution channels in Việt Nam. Việt Nam and South Korea aimed to boost bilateral trade turnover to $100 billion by 2020 with a balanced trade direction, following an action plan signed between the two nations late last year.